ISLAMABAD (92 News) – Pakistan has categorically rejected the baseless allegations levelled by Indian Home Minister Rajnath Singh in the Parliament on Thursday. 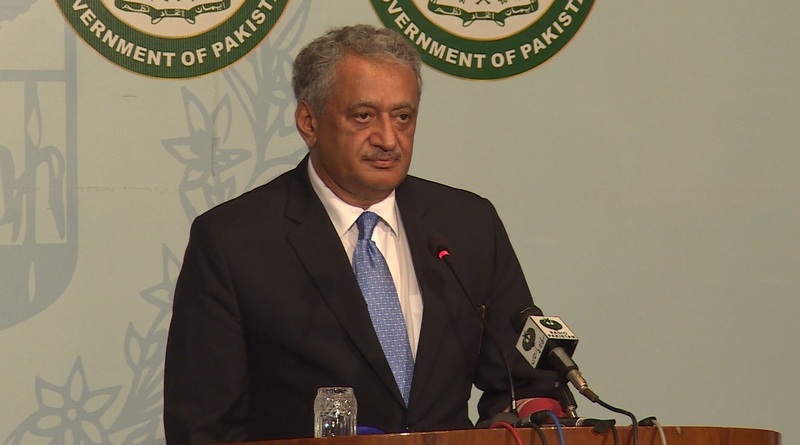 A spokesman for the Foreign Office said that Pakistan regrets unsubstantiated and unwarranted assertion that those involved in the Gurdaspur incident of July 27 had entered India from Pakistan. Immediately after the Gurdaspur incident, Pakistan had issued a statement expressing condemnation ‘in the strongest terms’ of the attack in Gurdaspur. “Pakistan condemns terrorism in all its forms and manifestations. Terrorism is a common enemy of both Pakistan and India. To tackle terrorism, a cooperative approach is required. Blame game, and finger-pointing would be unhelpful,” said the FO spokesman. He urged the Indian government to refrain from leveling baseless allegations and work with Pakistan to eliminate terrorism from the region and create an environment of peace and amity in South Asia. “If the Indian government has any concrete evidence in the case, it should shared with Pakistan,” he said.